Author Anne Lamott once said, “I know some very great writers, writers you love who write beautifully and have made a great deal of money. Not one of them writes elegant first drafts.” In other words, the editing process is where all the magic happens. 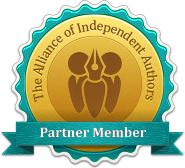 For independent authors, finding the best self-publishing company is an integral step towards getting their edited work into the hands of eager readers. Many aspiring independent authors are often unprepared for the arduous editing process that begins the moment the final word has been penned. But if the objective is to get the finished book into bookstores, it will need to adhere to the same rigorous standards that traditional publishing companies impose upon their books. When DartFrog receives a book that requires editing, we determine what level of editing it needs: proofreading, line editing or developmental editing. The words proofreading and editing are often (incorrectly) used interchangeably. The truth is that both terms refer to very different aspects of the writing process. When proofreading a text, we go through each sentence with a fine-tooth comb, examining each phrase for grammatical, spelling or punctuation errors. The goal of proofreading is to create technically accurate language that clearly communicates your work. Proofreading also helps ensure that the rhythm and pacing of your sentences are at their best by making sure that commas, dashes, colons and semicolons are being properly used. Line editing is similar to proofreading in the sense that the editor uses both opportunities to comb through the book sentence by sentence, but that is where the similarities end. Rather than focusing on the technical and grammatical aspect of writing, line editing focuses on word choice, rhythm, syntax and the overall strength of each sentence. Line editing helps authors keep their sentences powerful and concise, studying each sentence for wordiness and ensuring that unnecessary words are trimmed. Line editing also focuses on word meaning. Editors analyze whether the words chosen by the author are the best choice for conveying the intended message. While proofreading and line editing both focus on individual words and sentences, developmental editing is all about the big picture. Developmental editors examine everything from plot to character development, pacing, structure and dialogue. Developmental editors also examine the text for any inconstancies, such as plot holes and continuity errors. The developmental process explores how the text communicates the author’s intended theme and idea, which can ultimately mean the difference between an average self-published novel that gets lost in the crowd, and a masterful piece of independent literature. Proofreading, line editing and developmental editing are all integral steps of the independent publishing process. When DartFrog receives a book that requires no editing, it is clear that the author has already worked with an excellent team of editors. For those books that do require editing, DartFrog offers affordable, professional editing that ensures that the finished product will be ready for placement in bookstores (and for consideration as one of the three books we choose each month for direct promotion to 2500+ book clubs).